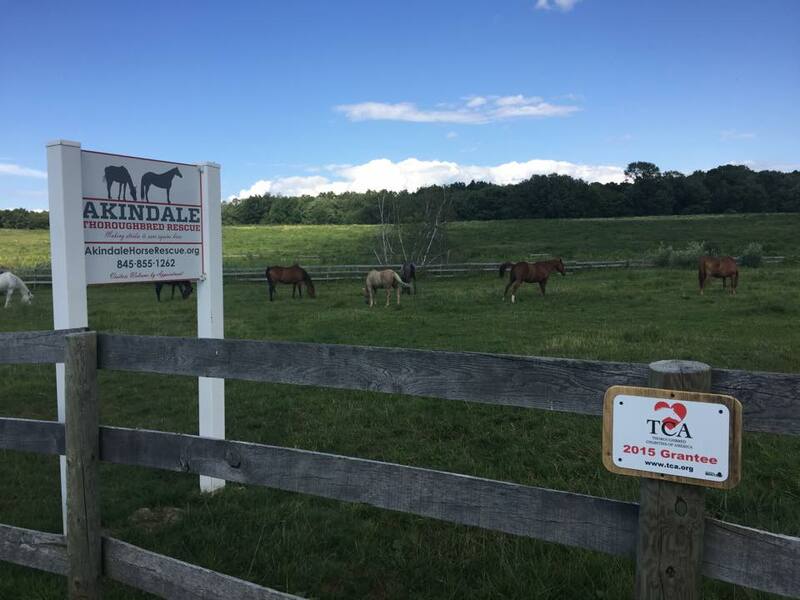 Akindale Farm in Pawling, NY, one of more than 40 TAA accreditated aftercare facilities. Photo courtesy of Akindale. Last week, Saratoga Springs’ Mayor Joanne Yepsen proclaimed that August is Racehorse Retirement Month in the city. The proclamation came as part of an event at the National Museum of Racing and Hall of Fame to introduce Racehorse Aftercare Charities of Saratoga Springs, a coalition of the area’s growing number of facilities dedicated to caring for and preparing horses for life after the racetrack. It was the latest in a growing number of endeavors that confirm that, in a relatively short period of time, Thoroughbred aftercare—retirement, retraining, adoption—has become an integral part of the conversation in Thoroughbred racing. In 2009, The Jockey Club established an innovative check-off program that invited voluntary donations to the Thoroughbred Retirement Foundation and Thoroughbred Charities of America; breeders and owners registering a horse could check off a box in the amount of their choice, beginning at $25, and The Jockey Club would oversee the disbursement of the funds to the two charities. It was not what you’d call a rousing success. In that first year, approximately $52,000 was donated by registrants. That year, 32,606 horses were registered, which came out to an average of $1.59 per horse. That’s right–$1.59.